This weekend, two new genre movies open in theaters nationwide: A Good Day to Die Hard, Bruce Willis' worst John McClane adventure yet, and Beautiful Creatures, the latest young-adult adaptation that's hoping to catch some of that residual Twilight momentum. Both films serve very specific audiences—the former caters to adrenaline fiends who prefer mindless action over story or character, while the latter taps into the common fantasy of meeting Prince Charming as evil witches try to stifle the romance. They're both the kind of movie, that, if you don't have a strong background in cinema, could keep you engaged for the duration. They're loud and bright enough. But the more you watch, the sharper your senses become. You evolve as a filmgoer and what entertained you as a kid ceases to hold your attention. You attain more refined appreciation by watching lots of movies. But an important means to determine what you should watch (and how you should watch it) is reading about cinema. 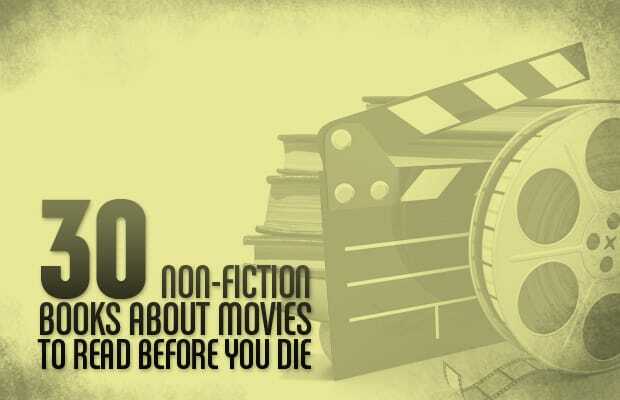 Whether you're interested in reading backstage stories straight from the filmmakers' and actors' mouths, or learned criticism from seasoned professionals, the following list of 30 Non-Fiction Books About Movies to Read Before You Die has exactly what you'll need.